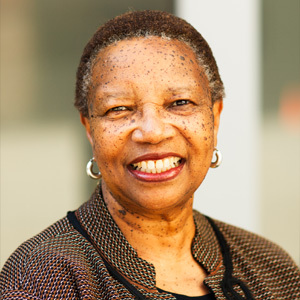 Gloria Taylor began her career in higher education in 1990 after working as the Director of Admissions and Financial Aid at Friends Schools in Detroit. She transferred the skills, experiences and relationships from this position to recruiting students from the greater Detroit and Chicago areas, serving as the inaugural director of the University of Michigan Detroit Admissions Office for seven years. In 1997, Gloria moved to the Office of Academic Multicultural Initiatives to direct the King Chavez College Day program, under the direction of Dr. John Matlock. In this position, Gloria hosted over 2,000 middle and high schools annually that attended day and weeklong visits in an effort to promote higher education to underrepresented students in southeastern Michigan. In addition preparing middle and high schools students for higher education, Gloria also worked very closely with University of Michigan college student leaders to develop academically and professionally. Many of these students have continued their interest and passion in working with pre-college students in advanced degrees such as Masters and Ph.D. degrees in Social Work and Higher Education. Gloria has directed the Office of Academic Multicultural Initiative since 2013.